Located on an interior street, this home features a very versatile floorplan. The Grand Staircase welcomes you in! Master Bed & Bath are downstairs, adjoined by a lovely retreat area that would make an great office or nursery or 5th Bedroom!Three additional bedrooms and bath are upstairs. The kitchen features granite counters, stainless appliances, and opens nicely to the cozy family room. The backyard offers two separate patio areas and lots of privacy. Recent additions include new downstairs lighting fixtures, garage door openers, & Hunter Douglas Blinds throughout. 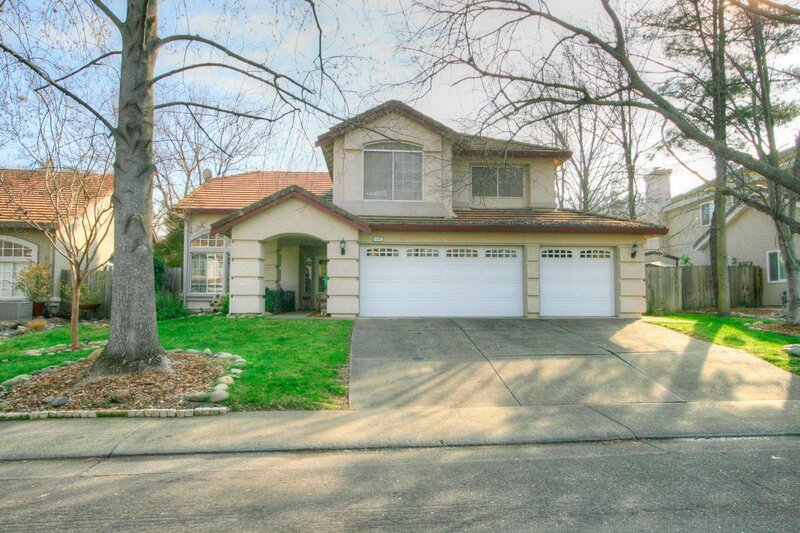 Perfectly located near shopping, light rail, & all Folsom has to offer. Award-winning schools as well. NO HOA and Last Year of Low Mello-Roos. BEST OF ALL - COULD LIVE LIKE A ONE-STORY HOME WITH MASTER AND TWO FULL BATHS DOWN! Listing courtesy of Coldwell Banker Residential Brokerage. Selling Office: Folsom Realty.